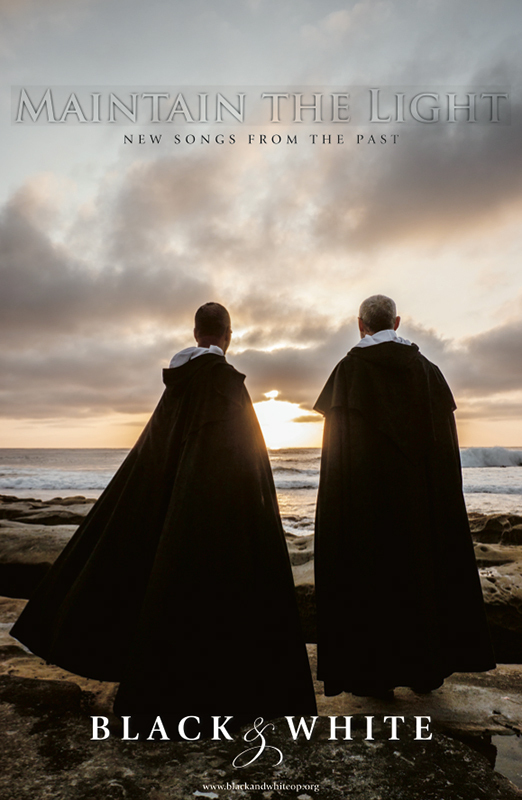 Singers Dominic DeLay and John Paul Forté, friars of the western province, take Dominicans and their friends on a virtual 800th jubilee pilgrimage with their new music recording, Maintain the Light. Many of the lyrics are from or inspired by Dominican saints. Dominic, who is also a filmmaker, is leading an actual Footsteps of St. Dominic pilgrimage in June. The trip is sponsored by his, John Paul’s, and their magician classmate Daniel Rolland’s creative ministries, Torch3m: Dominican Movies, Music & Magic. Maintain the Light has several songs about St. Dominic himself. Speaking to You sings the often-told story that St. Dominic, as he traveled, spoke either to God or about God. Love One Another is a musical setting of his last words. And Light of the Church has new music for the classic hymn about the saint. St. Catherine’s challenging and encouraging words are set to music in Be Who God Created You to Be. Additional Dominican saints are invoked in the Litany of Light. Meister Eckhart’s prophetic words are sung in Every Creature is a Word of God. All Dominican women and men, living and dead, could be those huddled around the fire of faith in Keepers of the Flame. Yes, Dominicans and their companions gather around the flame of faith, but they are also constantly on a journey or pilgrimage. Seek God and Truth tells the gospel story of the rich young man who wasn’t willing to let go of everything to get on the road with Jesus. And Going Deeper recognizes that this journey is most of all an inward one. You Are Closer sings that God walks with us and is, in the words of St. Augustine, closer to us than we are to ourselves. How will you walk in the footsteps of Christ in the coming year? What saints, friends, and family members have especially paved the way for you and urge you along the path? Whether you can accompany Dominic and Torch3m on the pilgrimage in June, you can sing this year of jubilee with them and John Paul. As he and Dominic sing in Make Me An Instrument, a song about the legendary meeting of St. Francis and St. Dominic, may we all be made instruments of peace and preachers of truth, the truth that brings freedom. For more information, visit www.torch3m.org.